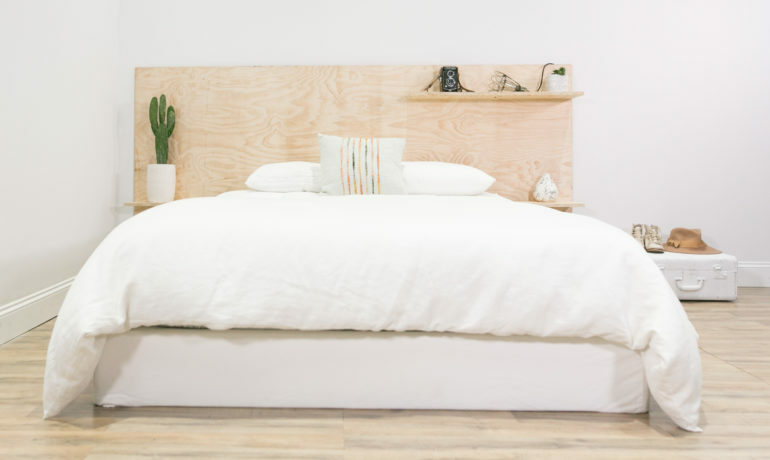 When you think of making your bed, you think of a daily task — chore even — that you do to create a clean and peaceful vibe in your bedroom. Pull up the covers, place the pillows, smooth the folds, rinse, repeat. But, if you choose to look at the term more literally, making your bed could *actually* be the best part of your day! 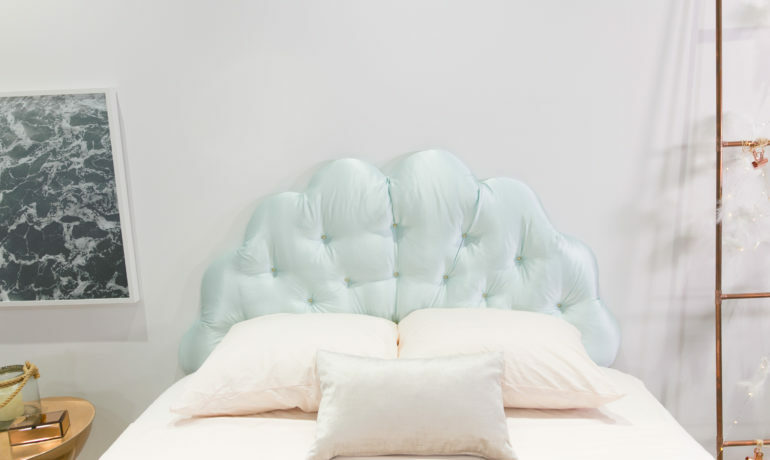 A headboard is a major component of a bedroom that looks complete and designed. 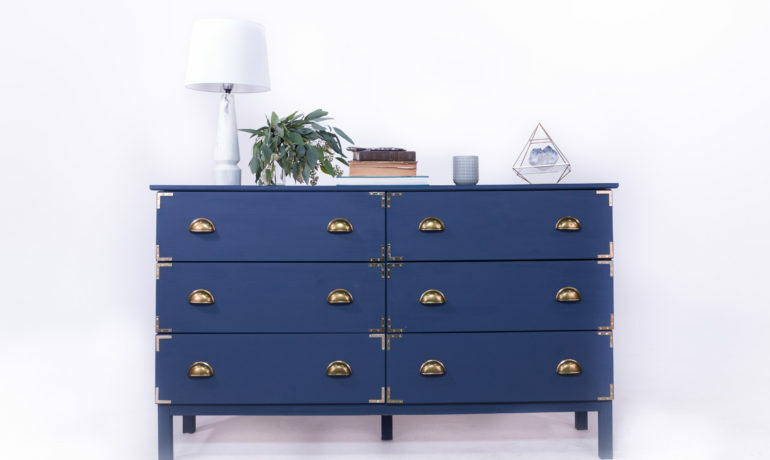 But, as crucial to the pursuit of cute as they are, many designs tend to come with a hefty price tag. 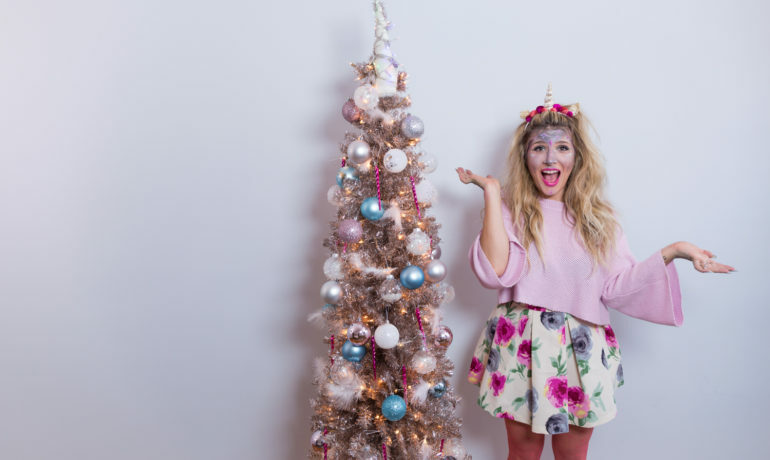 Buy why have the momentary thrill of buying a staple piece when you could have an afternoon of fun (with a literal staple gun) making your own? 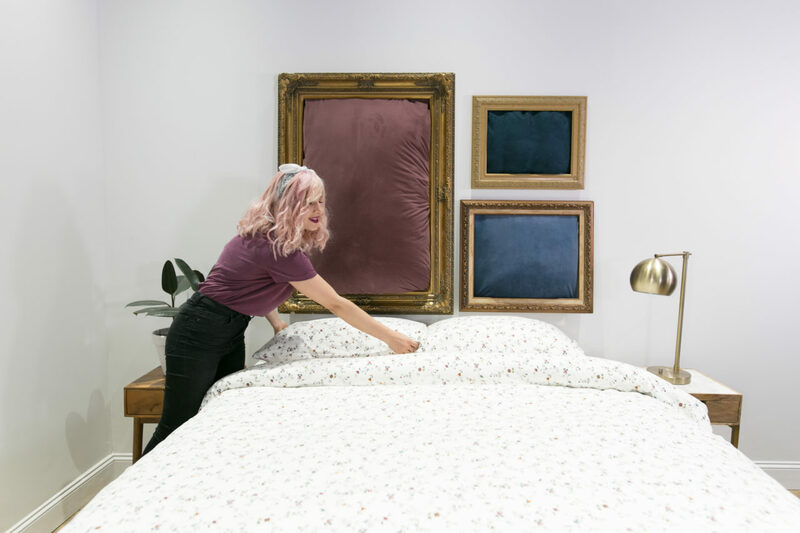 This video has 3 styles of headboards — minimalist industrial, sophisticated chic, and vintage eclectic — that are easy enough for you and a friend (a helper is recommended!) 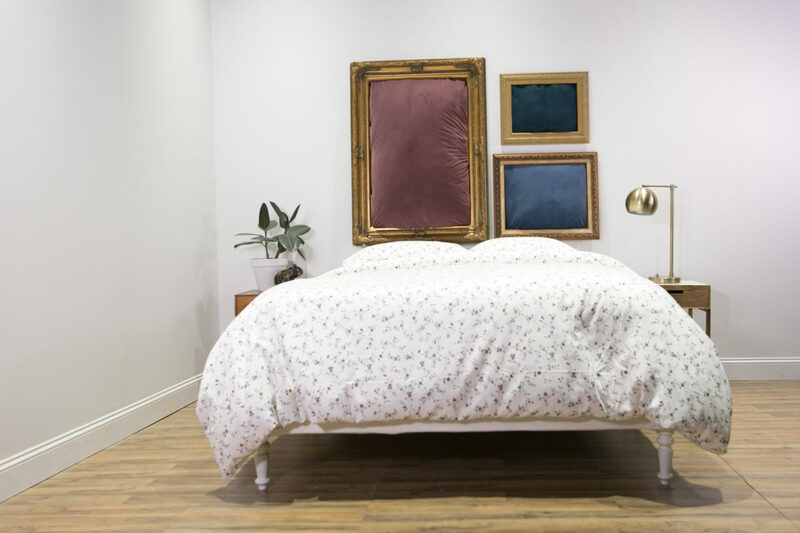 to make, transforming your bed from basic to a beautiful oasis! Watch above and click through below to the 3 step-by-step tutorials! 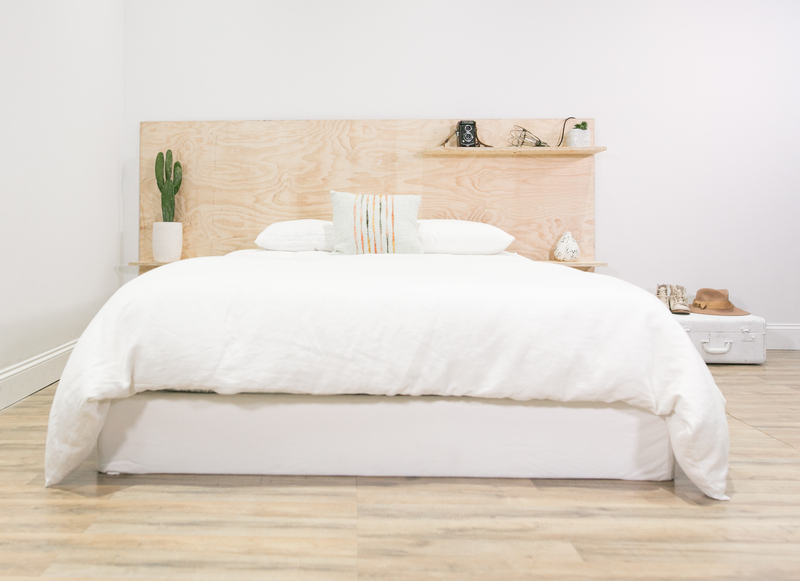 For fans of the minimalist or industrial style, there is no need to add anything to natural wood — its organic texture and sleek lines do all the talking already! 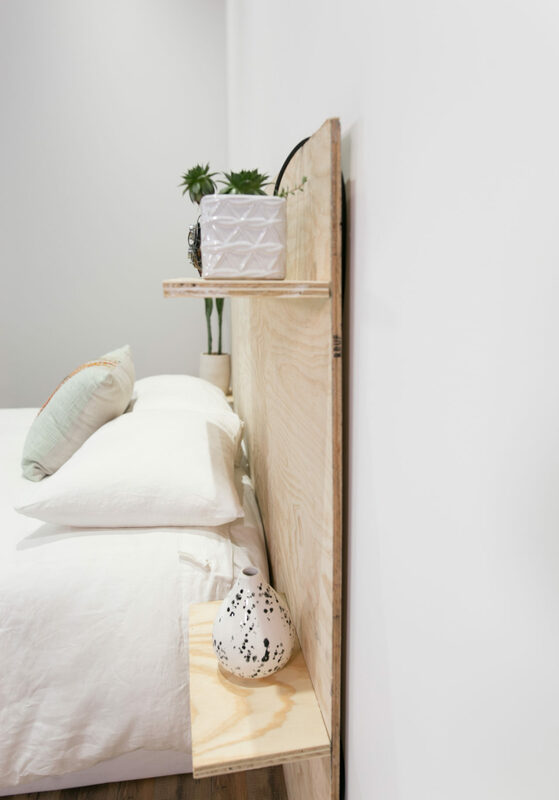 We took inspiration from another motivating force in the minimalist style, functionality, and gave our plywood headboard three shelves that serve as nightstands, storage, and of course, a great place to style a shelf-ie! 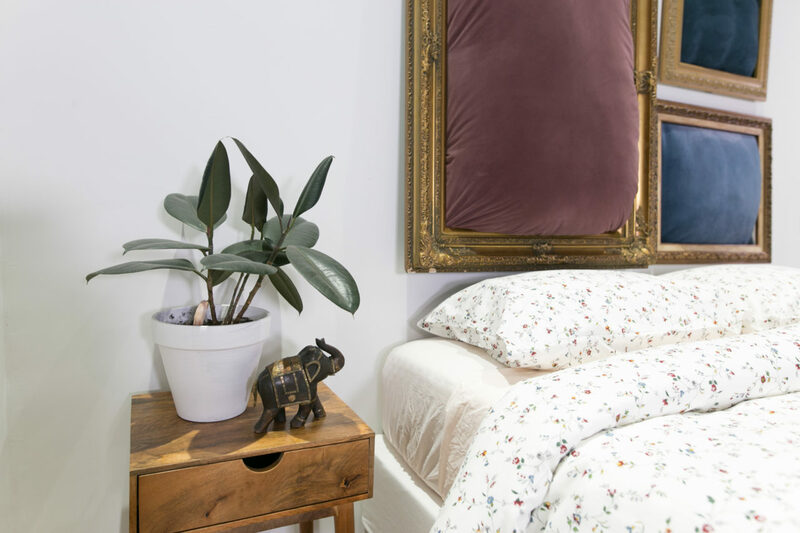 With some white linen bedding and sparse, yet boho-inspired accessories, this headboard transforms a room into the perfect nighttime (or nap time) respite for the creative weirdo always on the go. Get the step-by-step tutorial for the DIY Minimalist Plywood Shelf Headboard here! 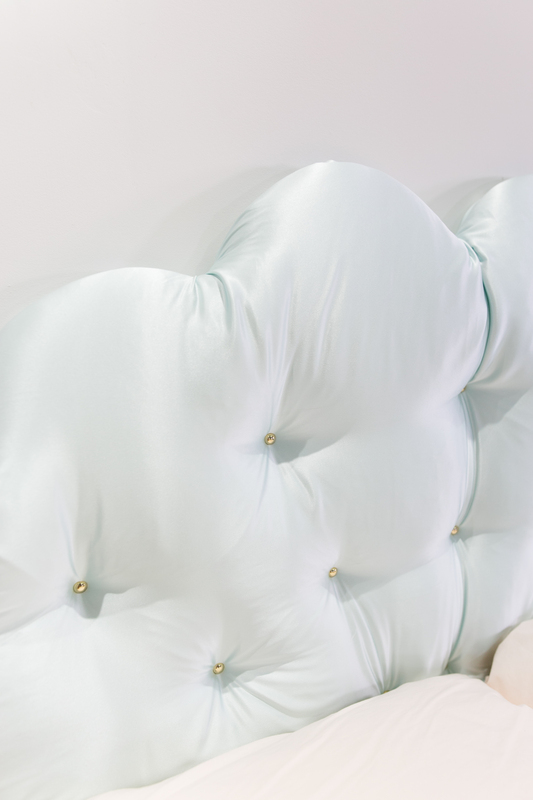 Even though this headboard is inspired by the shape of a shell, doesn’t the pale blue fabric and gold studs give it an almost cloud-like appearance? Whichever natural form you find in its shape, its whimsical and dreamy appeal is impossible to deny! 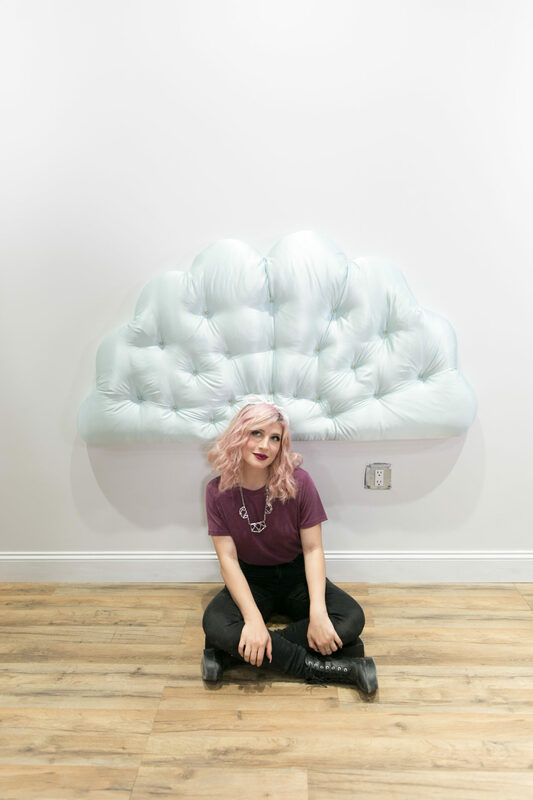 If you prefer a more traditional tufted headboard, our video for the DIY Tufted Velvet Bench could be easily translated into a larger, bed-size rectangle. Once you have the fundamental tufting technique down, the possibilities of what you can stuff and tuft are endless! P.S. Shoutout to the DIY Copper Ladder and DIY Feather Lights for finishing off this room’s design with some shimmer and shine! 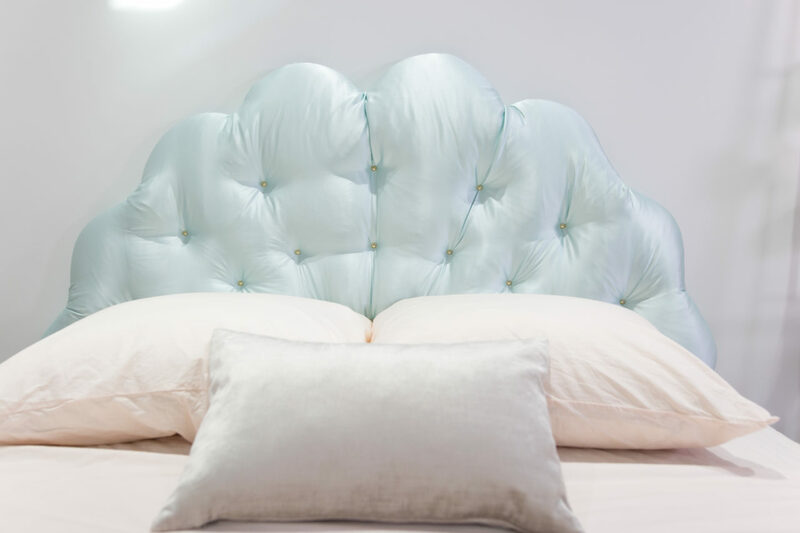 Get the tutorial for the DIY Mermaid Shell Scalloped Nailhead Headboard here! Now for something a little more abstract! A headboard is, by its singular tense status, typically a one-and-done item. 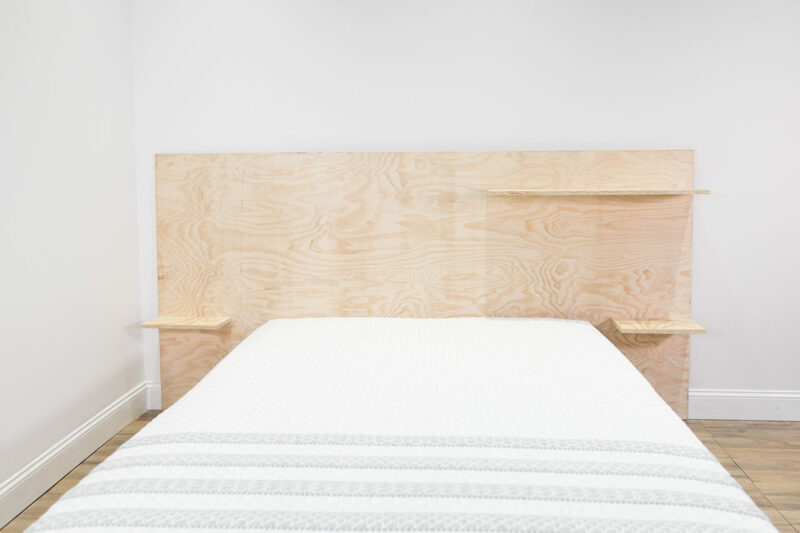 But when dreaming up this DIY, I was very interested in the deconstruction of the headboard — taking the shape, the comfort, the color, and making something new that still delivered on all three. The frames I used were from thrift stores and flea markets, and I let their vintage aesthetic lead the way. I complemented this style by choosing rich, jewel-toned fabrics for the pillows and floral bedding for the room styling. 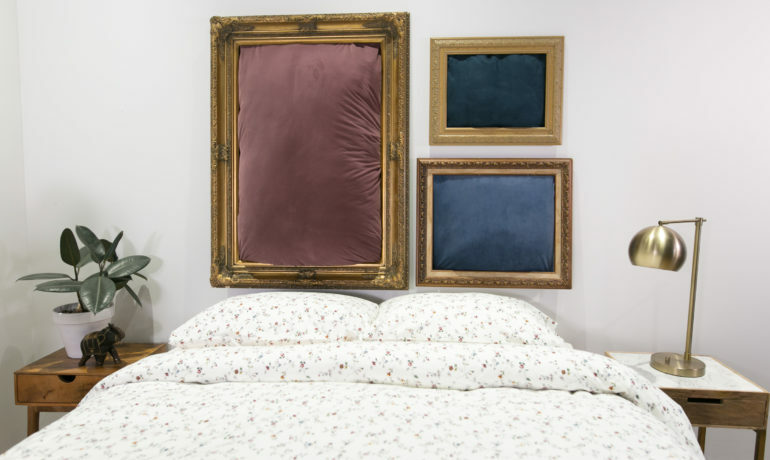 The beauty of this DIY is that the frames really change the game, so if you have more than three or different shapes, you can come up with an entirely different arrangement to hang them in! 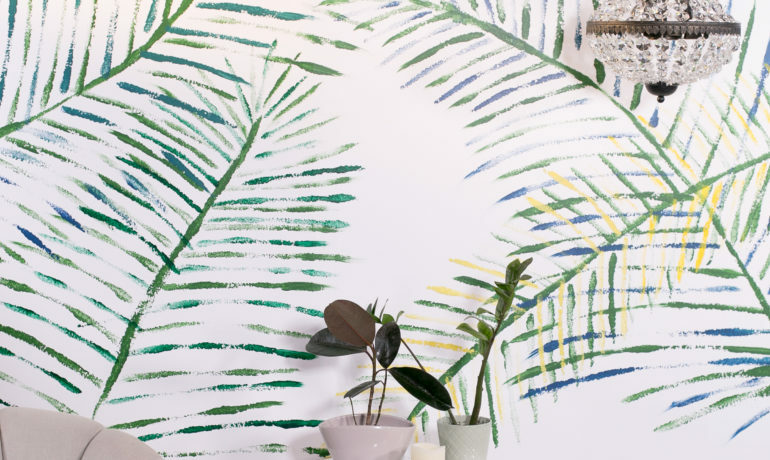 Reference the DIY Gallery Wall video for ideas on layouts! 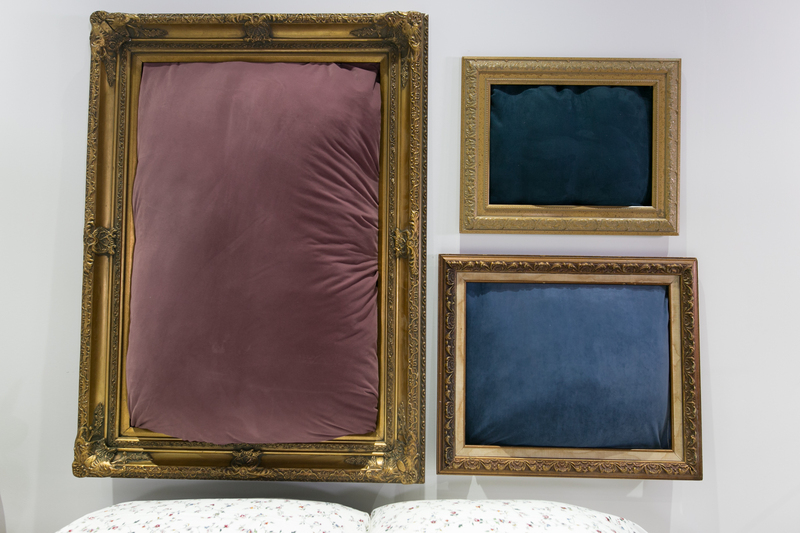 Get the step-by-step tutorial for the DIY Framed Pillows Headboard here!